Today I am delighted to welcome Leanna Renee Hieber! Her lovely debut novel, The Strangely Beautiful Tale of Miss Percy Parker, won two Prism Awards: one for Fantasy Romance and one for Best First Book. 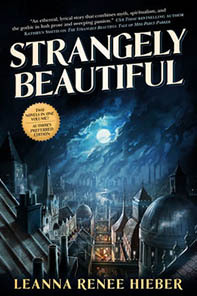 This book and its sequel, The Darkly Luminous Fight for Persephone Parker, were re-released in one volume titled Strangely Beautiful last year (with some new edits and scenes! 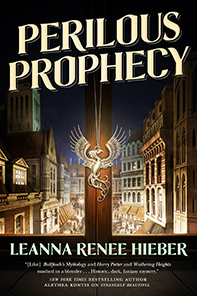 ), and the Prism-Award-winning prequel, The Perilous Prophecy of Guard and Goddess, is being re-released as Perilous Prophecy in June 2017. Her work also includes the Magic Most Foul trilogy beginning with Darker Still, the Eterna Files (The Eterna Files and Eterna and Omega, soon to be joined by The Eterna Solution—coming November 2017), and the Prism Award-winning futuristic novella Dark Nest. I’ve spoken at great length on blogs, passionately at conventions, on writer’s panels and at universities around the country on the importance of the Gothic novel in literary history. I also find it an inextricable element of psychological history. The Gothic style can lend itself to a romantic, eerie, sweeping tale or a more dreadful and horrific palette, depending on the story and age range. As a career Gothic novelist, I’ve gone from more lyrical and romantic (Strangely Beautiful) to darker and grittier (The Eterna Files) to a mix of both for a younger audience (Magic Most Foul series), but all my work has that central drive of dread and psychological focus. The environment of a Gothic is key, it has to be a character in and of itself. Because of the focus on psychological impact, the drive of dread and fear and setting/environment, the Gothic becomes a mirror to society’s worries, and tends to crop up in time periods of significant uncertainty, fear, dread, strife and societal change. I think of the characters of a Gothic as canaries in the coal mines of society’s greatest fears. Very often those canaries are women. In the classic Gothics, women’s already second-class citizenship, very limited freedoms and lack of agency puts them at greater risk for the incoming threats the story provides. Some historical Gothic tales used this as a mirror addressing the plight of women and any marginalized group in society, while some ran with abusing the already vulnerable, but still lifting up their sacrifices and deaths as part and parcel of the horror. I use Dracula as a reference as it’s the most well-read example and the most frequently adapted story ever told. 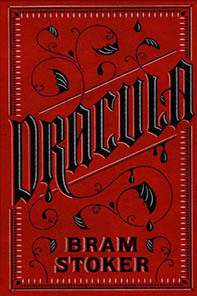 Dracula was written at the height of the Gilded Age, 1897. British, Western and American Colonialism and the effects of the industrial revolution were at a new, fraught height and the world was seeing globalization for the first time. There was also a growing movement for women’s suffrage and the fight for equality. The “New Woman” as she was termed at the time, was born. Mina Murray chafes against the idea of the “New Woman” in Dracula, even though the story does center Mina’s strength and fortitude, a quality a self-proclaimed New Woman would have celebrated. However, Mina’s body, mind and agency are still subject to the men around her to the very end. Lucy doesn’t even get the chance to fight for herself. She is sexualized then, once Dracula turns her into a vampire, she is beheaded when she subverts the feminine ideal for a monstrous inversion. The punishments dealt to female sexuality in the traditional Gothic are often fatal. The Gothic is an extreme genre, but as history has never been kind to feminine sexuality, and we’re certainly not at peace with it today, the Gothic only serves to take what’s already there and turn it up full volume. Stoker is fascinatingly complex. A true crafter of story that took his research very seriously, he was fascinated by folklore and took in a century’s worth of vampire fiction and all the lore that preceded it. I tend to refer to Dracula as a “capstone” work of vampire fiction. Health issues made Stoker’s childhood fraught with struggle. Somewhat of an Irish outsider in high-society England, having escaped a domineering father, he became manager of the Lyceum theatre in London, surrounded by other domineering presences. The bombastic yet brilliant Henry Irving, the first actor ever to be knighted, informed Count Dracula significantly. His relationship with women seems to have been a complex dynamic too. He admired many, such as Ellen Terry, Irving’s leading lady, and moved in a vast social circle of gifted performers and writers. His own marriage was a bit strained and he likely struggled with the “New Woman” much as Mina did. It’s my opinion Stoker put a great deal of himself into all of his characters, and echoed the tensions of his world across every page. Those tensions haven’t gone anywhere. Dracula is a wonderful example of the Victorian id on full display. A particular adaptation that brings the book’s “fear of the other” to the fore is Guy Maddin’s Dracula: Pages from a Virgin’s Diary, an art film adaptation of the Royal Winnipeg Ballet’s production. Dracula’s fear of the ‘other’ and the unknown is mirrored very clearly by today’s fears and uncertainty regarding globalized economies, social and ethnic changes, immigration, racial tensions and divisive strategies to overwhelm and seize power. We happen to be getting a harrowing refresher course on governmental cabals of greed, corruption and blatant self-interest, though the current magnitude puts the Victorian “Robber Barons” to shame. The Gothic serves “through a mirror darkly” each and every age where it resurges, though truth be told, the Gothic has never gone away. Some of today’s more visible Gothic trends can be seen in Hollywood. Showtime’s Penny Dreadful was Gothic epitome. It showed great promise and incredible performances but failed in its final delivery, you can see that rant of mine here—spoiler warning. 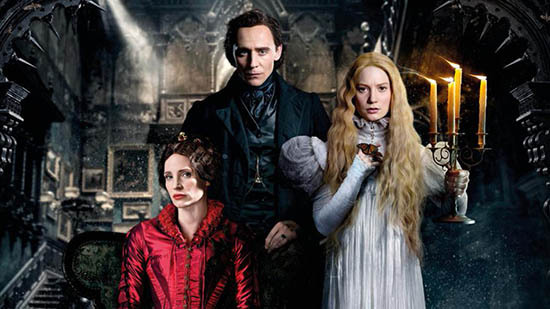 While visionary Guillermo del Toro’s Crimson Peak wasn’t a box office success as marketing departments have no idea how to market a Gothic (It was released on Halloween billed as a jump-scare “horror” movie when it should have been billed as a “supernatural suspense/thriller” and released as an alternative Valentine’s Day film), it remains the best example of the Gothic I’ve ever seen, and it does right by every woman who struggled to find her own way out of the hell her story put her into. In my work, I try hard not to repeat harmful tropes of historical Gothics, while still utilizing the structure, atmosphere, dread and titillating, dark, over-the-top allure of the Gothic. Simply mirroring a woman’s historical situation as trapped property, or her vulnerability and lack of agency, or her second-tier place in society including that of any minority group isn’t enough. She must overcome barriers by her choices, agency, determination and ingenuity. I want all my characters at any historic disadvantage to be as fully realized in their agency and opportunity to change the terrors around them as possible. As for a few notable suggestions in the Gothic vein, a show really fulfilling the demands of agency and representation at present is The Exorcist on Fox; a terrifyingly wonderful show with an empowered, nuanced, diverse cast. Also go see Jordan Peele’s Get Out, an important take on the horror genre. Horror and Gothic walk parallel paths. 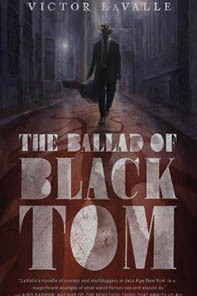 Keep your eye on Hugo-nominated author Victor la Valle (The Ballad of Black Tom) and his work. Amanda DeWees is doing the classic Gothic beautifully, and her doctoral academic background adds extra authority and breadth to her work. Be sure to pick up Cherie Priest’s new release Brimstone. 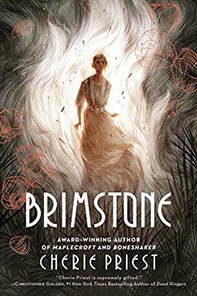 Not only is Cherie one of my favorite writers working today, I know she strives for the same female-forward, inclusive narrative as I do, especially in Gothic and horror genres and Brimstone is one I’ve been looking forward to for some while. And please lift up all kinds of innovative voices around the world presenting their own Gothic-styled tales that reflect the undercurrents, preoccupations and shifting psyches of an ever-changing, ever-connected world, as all these stories can be beautiful, vital canaries fighting for air in dark mines, helping us see clearly through fun-house mirrors while entertaining us all in the meantime. Actress, playwright and author Leanna Renee Hieber writes Gothic Victorian Fantasy (Gaslamp Fantasy) novels for adults and teens. 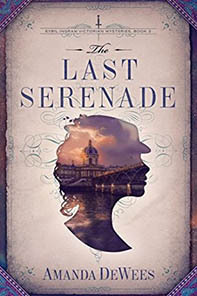 Her Strangely Beautiful saga, beginning with The Strangely Beautiful Tale of Miss Percy Parker, hit Barnes & Noble and Borders Bestseller lists and garnered numerous regional genre awards, with new, revised editions from Tor Books now available. Darker Still was named an American Bookseller’s Association “Indie Next List” pick and a Scholastic Book Club “Highly Recommended” title. 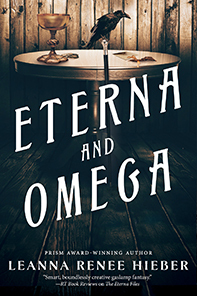 Her new Gaslamp Fantasy saga, The Eterna Files and Eterna and Omega, is now available from Tor. 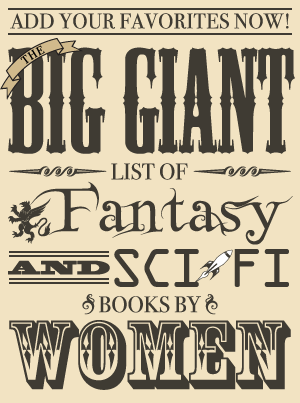 Her short fiction has appeared in numerous anthologies such as Queen Victoria’s Book of Spells, Willful Impropriety, The Mammoth Book of Gaslamp Romance, featured on Tor.com and she writes for Criminal Element. A 4 time Prism Award winner for excellence in the genre of Fantasy Romance, Leanna’s books have been selected for national book club editions and translated into languages such as Complex Chinese, German and Polish. She crafts Gothic, Neo-Victorian and Steampunk accessories on Etsy via the Torch and Arrow shop. A proud member of performer unions Actors Equity and SAG-AFTRA, she lives in New York City where she is a licensed ghost tour guide and has been featured in film and television on shows like Boardwalk Empire. She is represented by Paul Stevens of the Donald Maass agency.